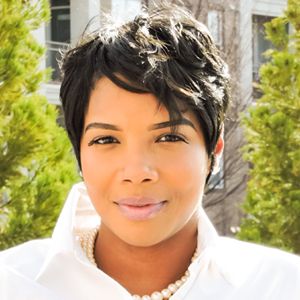 Natasha has over 20 years experience in corporate America where she held various management positions within Fortune 500 companies. Upon taking a leap of faith she has founded These 5 Girls, Inc a non-profit organization for female youth and women. Natasha knows the struggles and the challenges women and adolescent girls face. For over a decade, Natasha has inspired countless women around the world with her triumphant story. Natasha escaped an abusive relationship and adapted to parenthood at the age of 15 years of age, making her an overcomer and voice for women who experience similar challenges of domestic violence. For over a decade, Natasha has inspired thousands of women around the world with her triumphant story. She is a dynamic speaker and teacher with an extraordinary story and a tremendous ability to cultivate her audience. Natasha is a master at accomplishing unfathomable goals and assisting others in achieving the same. She is a leader that believes in culture, growth, and the development of her team. Natasha has bachelor’s degree in Business Organizational Management & Leadership. Natasha serves on the board of The Drake House an organization for women in crisis. Natasha is a minister in training and will be obtaining her Executive Masters of Business Administration from the University of Georgia Fall 2019.